Hey all! 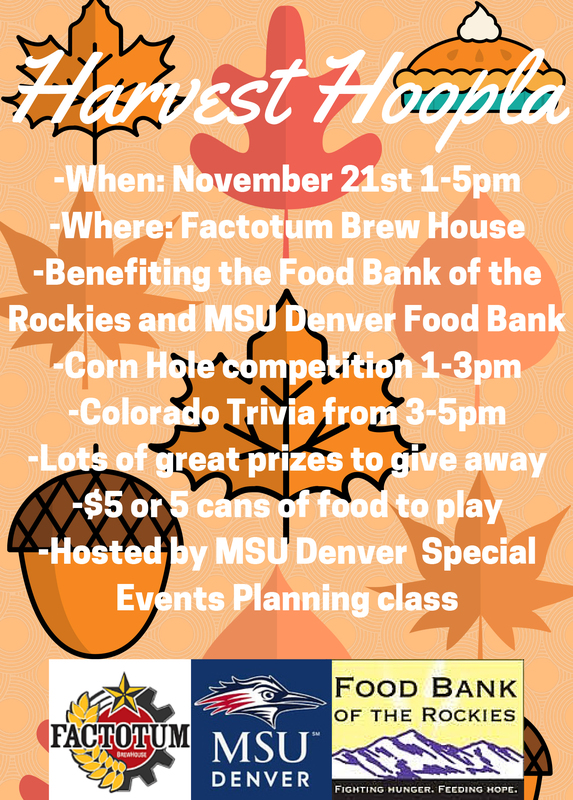 I have an exceptional class of students from MSU Denver that are planning an event at Factotum Brewhouse, in Denver, on November 21, 2015. We’re holding a “Harvest Hoopla” corn hole tournament (1-3pm) and All-Colorado Trivia (3-5pm), for only $5.00 or 5 canned food items per game. Click on the flyer below to enlarge (to read more details! )and we hope to see you there! Next Post I am a Certified Cicerone!